Before I get too excited, I want to tell you about the Blog Blitz going on over at Poppystamps. I hope you check it out as there are PRIZES. And today I got to pick one to give away. I picked the Happy Birthday Banner Flags and I've got to tell you......I love it. If you want to see more you are just going to have to head over to the Poppystamps Blog Page. To enter you need to leave a comment on that page. So when you're there, don't forget to comment. 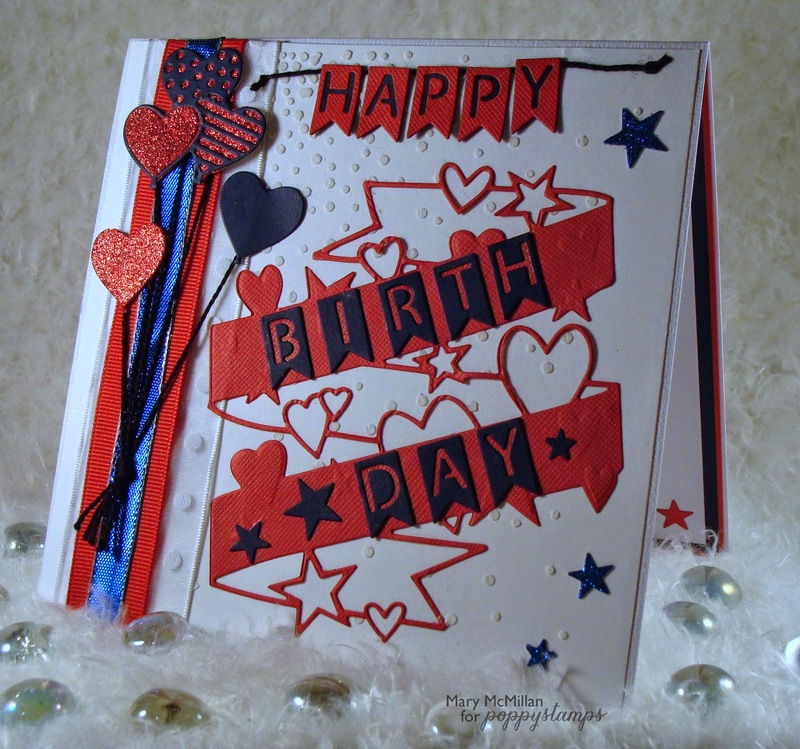 I really enjoyed making this card and the new Poppystamps dies were really fun to work with. The balloons are the sweetest ones I've seen. The Hearts and Stars Wrap will have tons of uses. This first release of 2015 has so many great dies. I had a hard time deciding which ones I had to have.....I'm glad I chose these. What a fab card. Perfect for male or female. Really beautiful card, love the colours you have used Mary.